From the very first Mercury automobile produced in 1939, the automotive brand has often been viewed as either a “junior” Lincoln or as a “senior” Ford. During the 1950s, however, Mercury styling stood alone. The 1957 Turnpike Cruiser introduced dramatic new styling, which designers used as a foundation to build on in 1958 and 1959 before moving on to a totally new design. 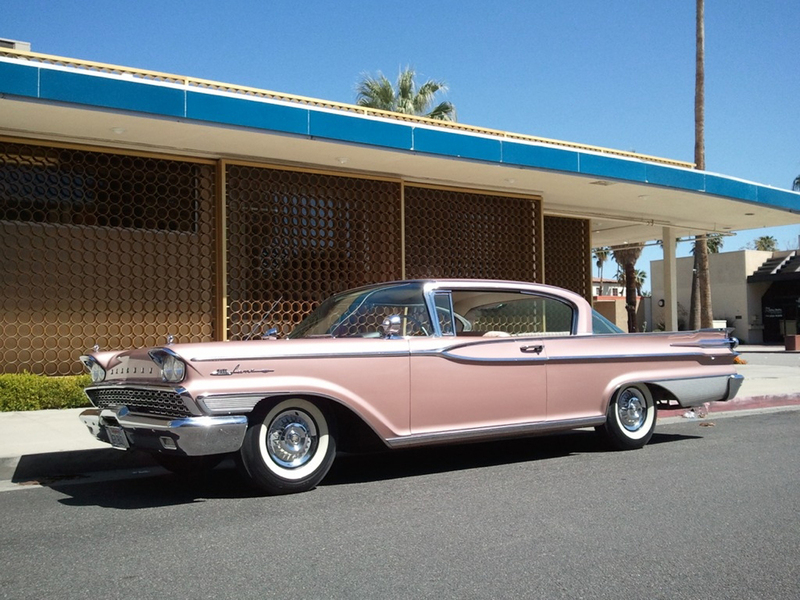 A total of 4,060 top-of-the-line 1959 Mercury Park Lane hardtop coupes were manufactured, one of them purchased new at a Redlands, Calif., Lincoln/Mercury dealership. The base price was $3,955. Evidently, the big Mercury was gently driven by the original owner and regularly garaged for 27 years. The odometer had recorded only 27,000 miles when the second owner, also a Redlands resident, bought the car in 1986. By the time the third owner bought the car in 2008 and took it home to Phoenix, Ariz., the odometer had registered 43,000 miles. 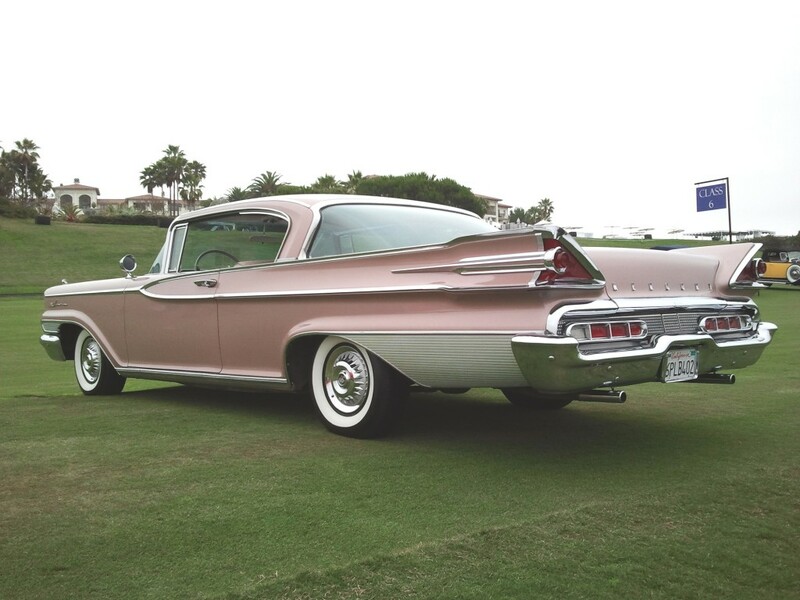 The first three owners had always maintained and protected the 18.5-foot-long Mercury for 52 years. Soon after acquiring the Mercury Park Lane, the third owner ran out of room to garage the vehicle properly and rather than subject it to the ravages of the weather he offered it for sale on ebay. This is where Sandy Edelstein, a Palm Springs, Calif., mortgage lender enters the picture. He often electronically surfs on his computer and in February 2011 he saw the Mercury as he was perusing the Internet. “It took my breath away,” Edelstein says. “If I have to sell the furniture, I’ve got to have this car,” he thought. There was nothing about the Silver Beige Metallic Mercury that he did not like, from the brushed aluminum panels on the rear fenders to the parking lights mounted in the massive front bumper. Edelstein bid on the car and was successful. He sent the owner a good faith deposit and essentially had just purchased a car sight unseen, except for pictures. Edelstein says it appeared to be in such good condition that he was tempted to drive it home. Then he looked at the 25-year-old, 14-inch bias ply tires and decided to have a truck haul it to his home in Palm Springs. The Mercury now rolls on a new set of white sidewall radial tires. To be on the safe side, Edelstein had all the fluids flushed and changed, as well as inspecting the suspension, steering and brake systems. The side windows and seats are electrically operated. Steering via the three-spoke deep-dish steering wheel is power-assisted, as is the braking system. A Multidrive Merc-O-Matic transmission transfers 345 horsepower from the 430-cubic-inch V-8 engine to the rear-drive wheels. The singular flaw in the 1959 Mercury, Edelstein says, is that the padded dashboard was warped and faded. He laments that installing a new dashboard consumed six weeks, time he would rather have spent driving the Mercury. The new dashboard houses the original AM radio with not only a front speaker, but also one in the rear. The radio push buttons are arranged vertically. Equipped with no air conditioning, the wing vent windows in the front doors direct welcome fresh air into the passenger compartment. “The interior is a festival in mauve,” Edelstein says of the interior hue. He reports that the brocade and vinyl upholstery, the dashboard and carpet all share the same color. A lot of fuel is required to move a 4,311-pound automobile on a 128-inch wheelbase. Fortunately, the Mercury’s gasoline tank has a capacity, Edelstein says, of 26 gallons. He feeds his Mercury premium grade gasoline.